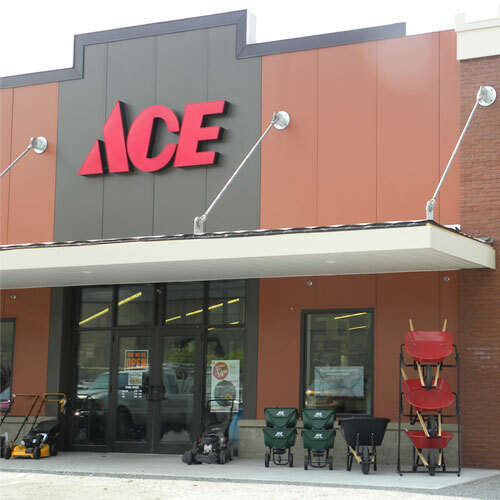 Browse Ace Hardware's great selection of indoor and outdoor gardening products. From planters, baskets and flower pots to planter hardware, seed starters, accessories and more, Ace has everything you need to make your garden flourish. Product categories can be accessed from the main page, and results can be refined by price range, brand, rating and popularity in the sidebar tool and top navigation bar. Transform your lawn, deck, patio or backyard into an extravagant outdoor oasis with outdoor planters and easy-to-use planting supplies. Many of our planters feature ornate designs to complement the flowers you grow and match your existing outdoor decorations. For a more subtle style boost, shop our selection of clay pots, plastic planters and foam planters to match your area. Helpful Hint: Even if live in a place without much gardening space - like an apartment or condominium - you can still grow herbs, vegetables and decorative plants. Simply hang them up with our assortment of planter hardware to make extra space and transform your small enclosure into a beautiful outdoor area. Choose planter hooks and baskets made with durable, coated steel or wrought iron to bear the weight of heavier pots and plants. Select vertically oriented hooks or flush-mount metal plates to hang planters from your ceiling. Pick out horizontal plant hooks to hang plants from your walls. Hang plants off your balcony with plant stands, racks or hangers that clip to a guard rail. Potting benches to help you work comfortably and store all your gardening necessities. Stop by your local Ace Hardware to find everything you need to start a garden, grow healthy plants and keep your crop in perfect shape for several seasons to come. From maintaining delicious vegetables to starting a beautiful floral decoration, Ace has the right gardening supplies to get the job done.